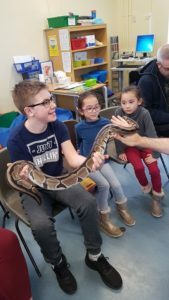 Our first Coffee morning family social of 2019 was held with special guests from Eco Animal Encounters. The hall was full children (and adults) eagerly waiting to see what animals were going to appear. 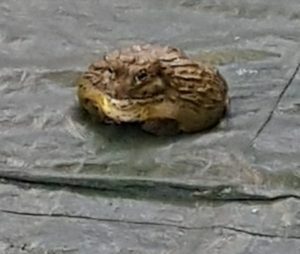 First was an African bull frog. He was huge and very cute. Everyone was given the opportunity to touch the frogs back. It felt like putty. Next out was a scorpion. Tom showed us how it fluoresced under an ultraviolet light. So pretty. A ball python snake was the next animal to meet us. Lots of brave children and adults had a hold of her. She was a real beauty. 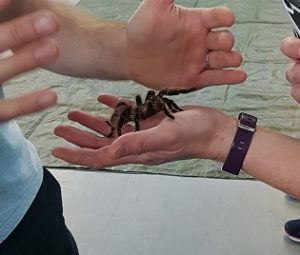 Last was a curly haired tarantula which was quite active. There was plenty of willing volunteers wanting to hold her!! We also had a counsellor, speech therapist and education support officer available to answer any questions, along with coffee, tea, cake and chat. We also welcomed some new families to the centre.